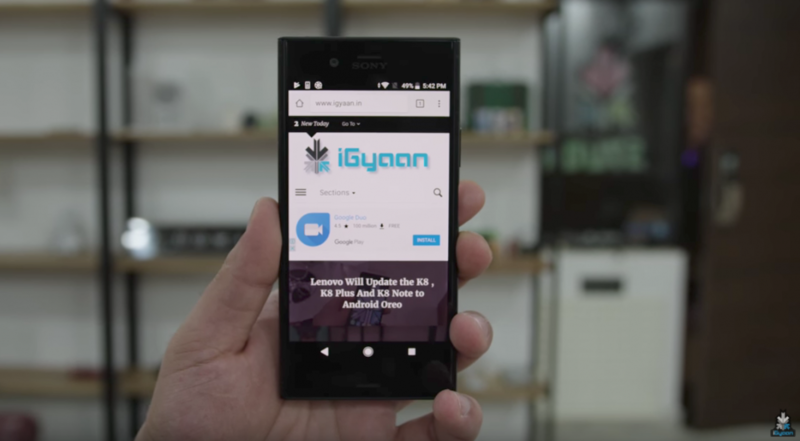 First look at the phone is enough to tell you that it is indeed a Sony smartphone. The rectangular build of the phone is reminiscent of the previous generation Sony Xperia smartphones. There is a thick forehead and chin on the phone which house the front firing stereo speakers which has become a rare right. The lock and unlock button also houses the fingerprint sensor. The Sony Xperia XZ1 has a 5.2 inch 1920 x 1080 px display with Corning Gorilla Glass 5 on top for protection. The design of the phone is reminiscent of a lot of previous Sony flagships, dating back to 2013’s Xperia Z. The device runs Android 8.0 Oreo out of the box and is powered by a 2700 mAh battery, which is considerably smaller than a lot of smartphones in the market. Under the hood, the device has the Qualcomm Snapdragon 835 chipset, similar to the one found in XZ Premium, 4GB RAM, and 64GB onboard storage which is expandable up to 256GB via microSD card. 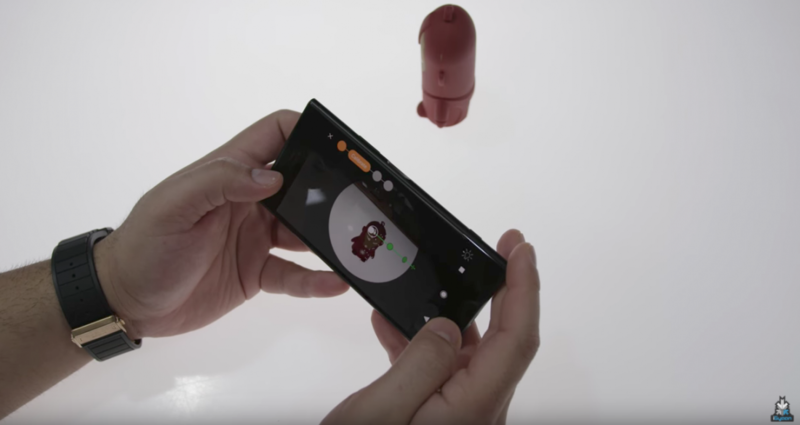 Sony has used its “Motion Eye” camera system in the XZ1. According to Sony, “Motion Eye” system uses a 1GB memory-stacked camera which has five times faster image processing than other smartphones. Ditching the trend of the dual camera setup, Sony went with a single camera at the back with a 19MP 1/2.3? Sony IMX400 camera lens with an f/2.0 aperture. Sony has pointed out that the phone’s 3D scanning capability is one of its highlights. The camera app includes features like Predictive Capture which will click the picture seconds before you actually hit the shutter button. Sony has used SteadyShot electronic stabilization for video instead of optical image stabilization for images. 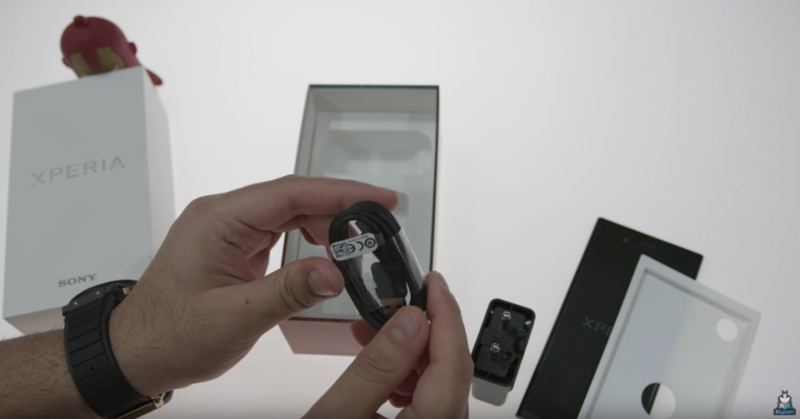 The primary camera can also record super slow motion 720p video at 960fps in addition to recording 4K videos at 30fps. On the front, the XZ1 has a 13MP camera with an f/2.0 aperture and 22mm wide-angle lens. For the launch offers, Sony is bundling a Quick Charge 3.0 charger in the box for a limited time while the buyers can purchase the Sony Style Stand Cover for Rs 2,490 which costs Rs 3490 originally along with the device. HDFC credit/debit card holders and ICICI credit card holders can also avail a 5 per cent cash back on purchase.